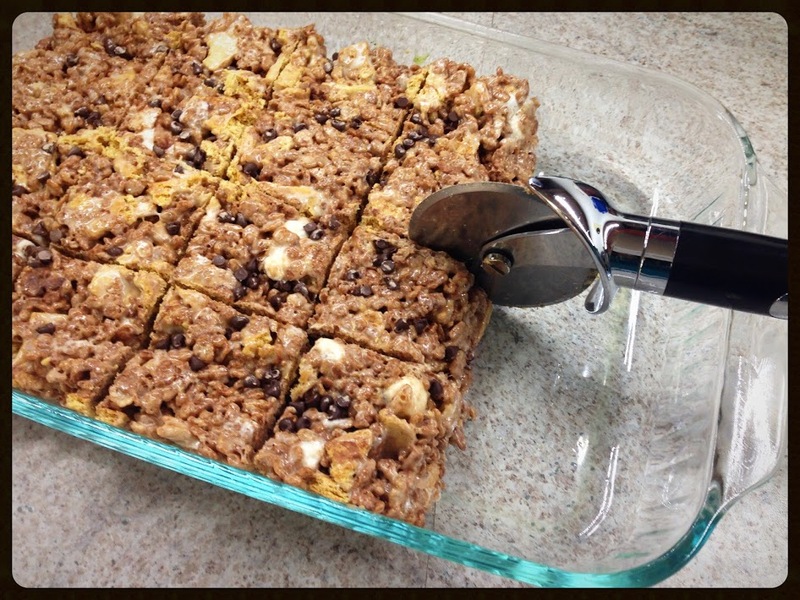 Who doesn’t love a Rice Krispie Treat? Simple crisp sweetness easy to enjoy and to make. They can’t be bad for you either since they are made from a plain cereal with just a handful of ingredients. So what if they’re smothered in butter-melted-marshmallows? Wink wink. Alright, truth be told the cereal is a good healthy choice that pairs well with many flavors. 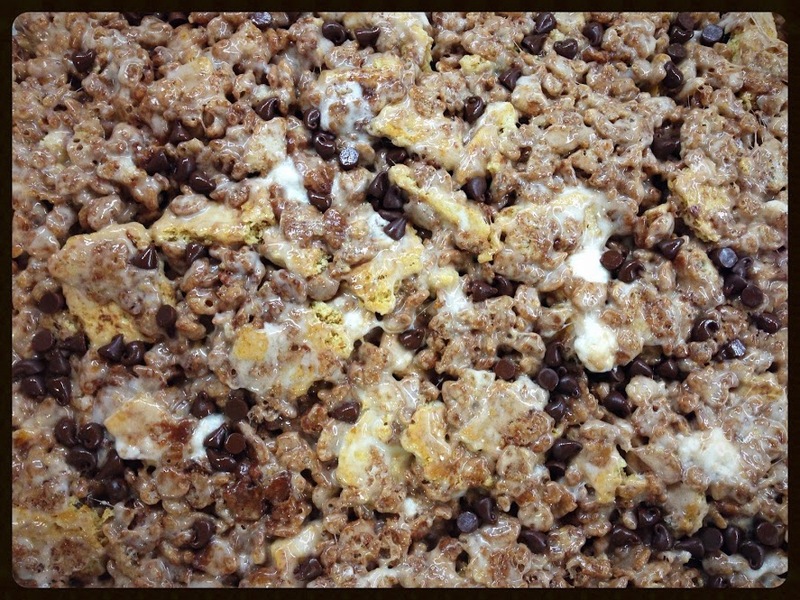 Likewise for the famously delicious treats we make out of it! I’ve been making this recipe for years. It is a surprising twist on the tried and true original that will make you want s’more and s’more every time. 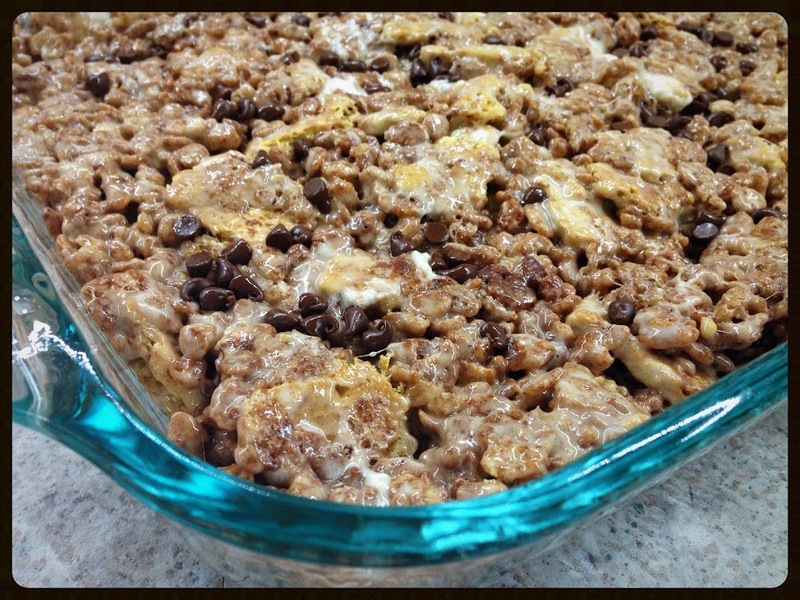 Measure cocoa krispies and broken graham crackers into a large mixing bowl. Add the reserved cup of mini marshmallows and 1/4 cup of mini chocolate chips. Mix together. Melt butter in a non-stick sauce pan over medium heat. Add marshmallows. Fold into pan coating all with butter. Stir gently until melted. 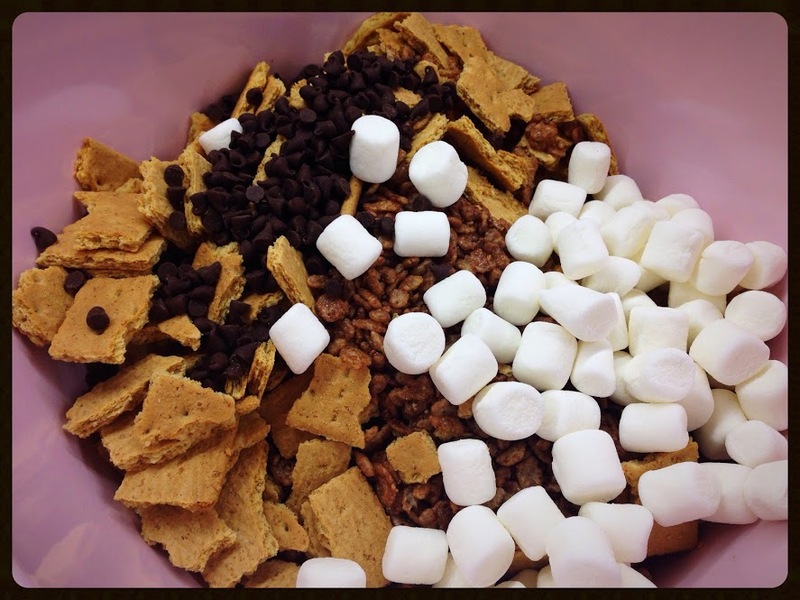 When melted completely pour into bowl of cereal, crackers, marshmallows and chocolate. Stir to combine. Working quickly before the melted marshmallow cools too much transfer to your waiting 9×13 pan. Sprinkle with the reserved mini chocolate chips. Smooth with the back of a spoon sprayed with cooking spray. Let cool completely. Cut into squares. A pizza slicer works best for straight lines. Don’t those look delicious? 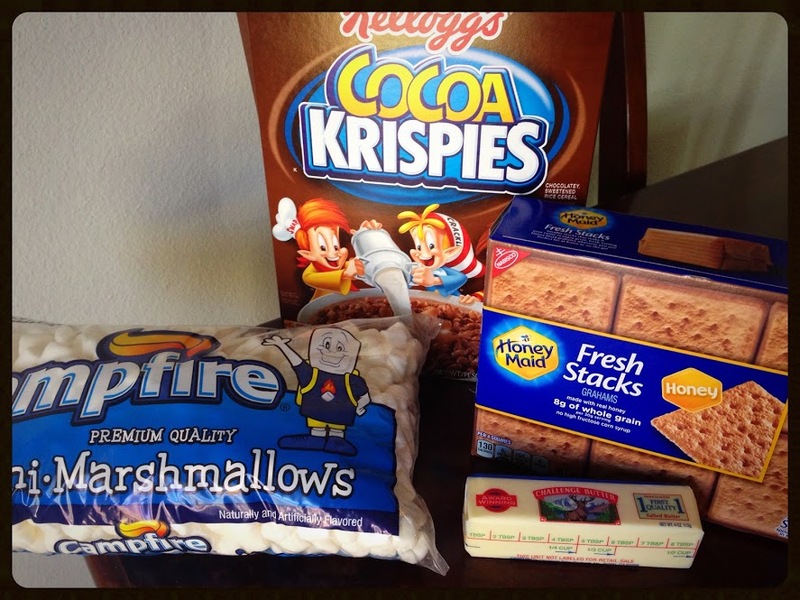 They taste so much like a s’more that you won’t even miss the campfire or gooey mess. For some other sweet treat ideas see my other posts Fantastic 4 Ingredient Cookies and Perfect Peach Cobbler. Kellogg’s has many more creative ideas for this simple cereal on their site. 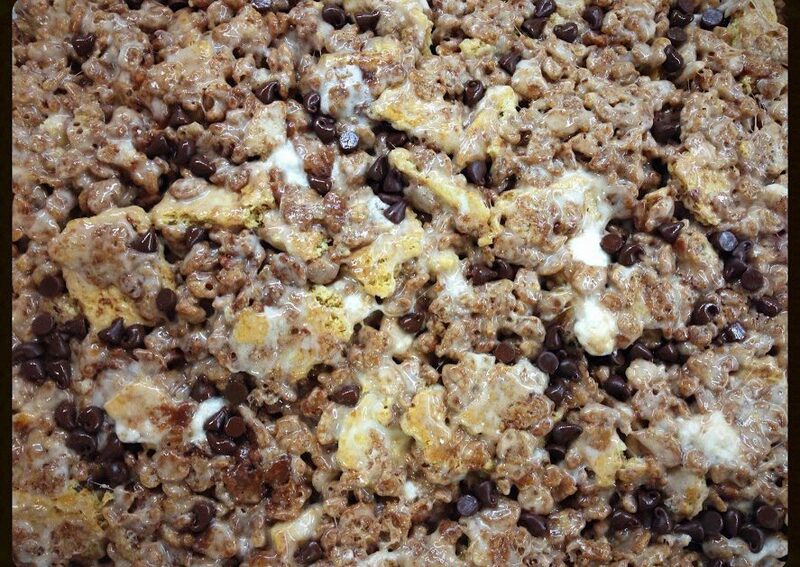 If you make these or any other Rice Krispie Treats variations share in the comments or email me! It would make my day!